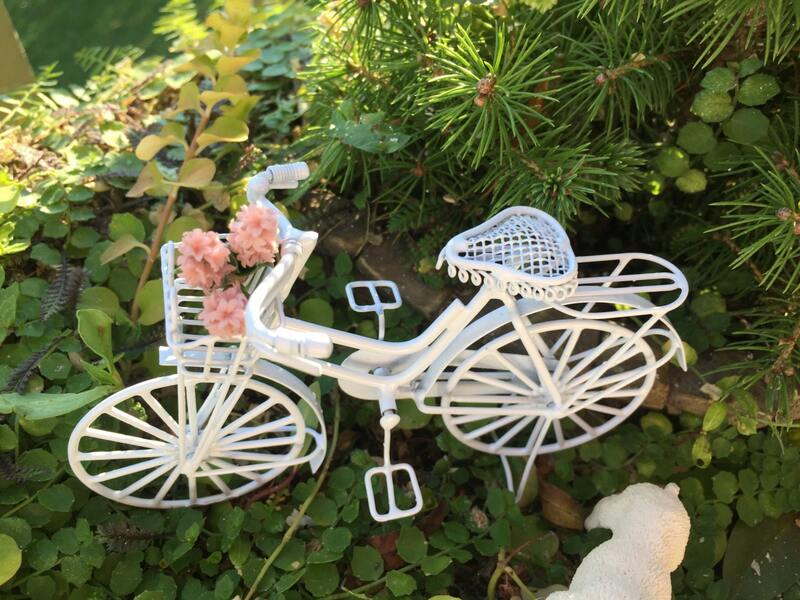 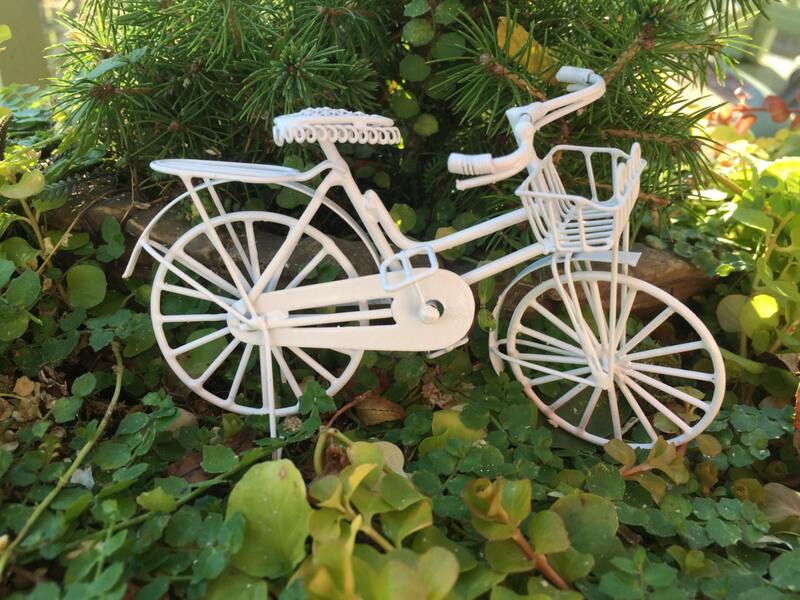 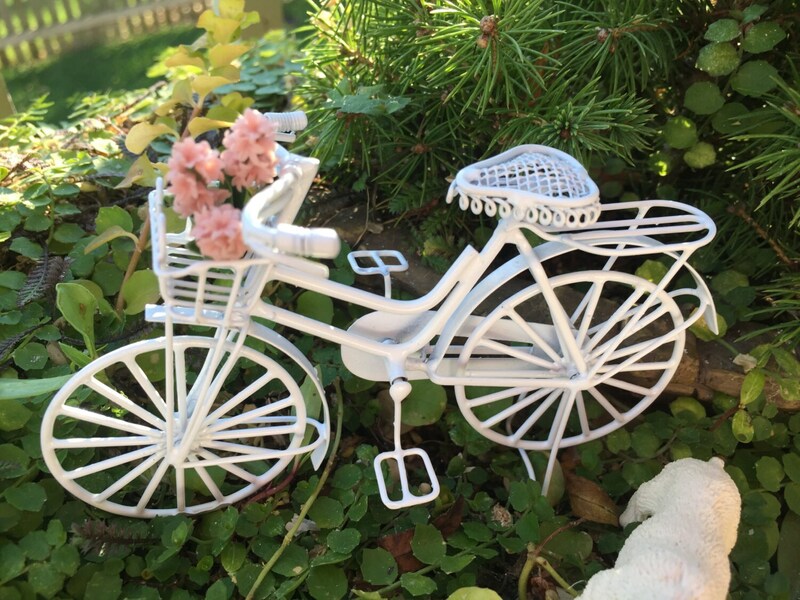 Adorable, miniature, White, metal bicycle with basket and back rack. 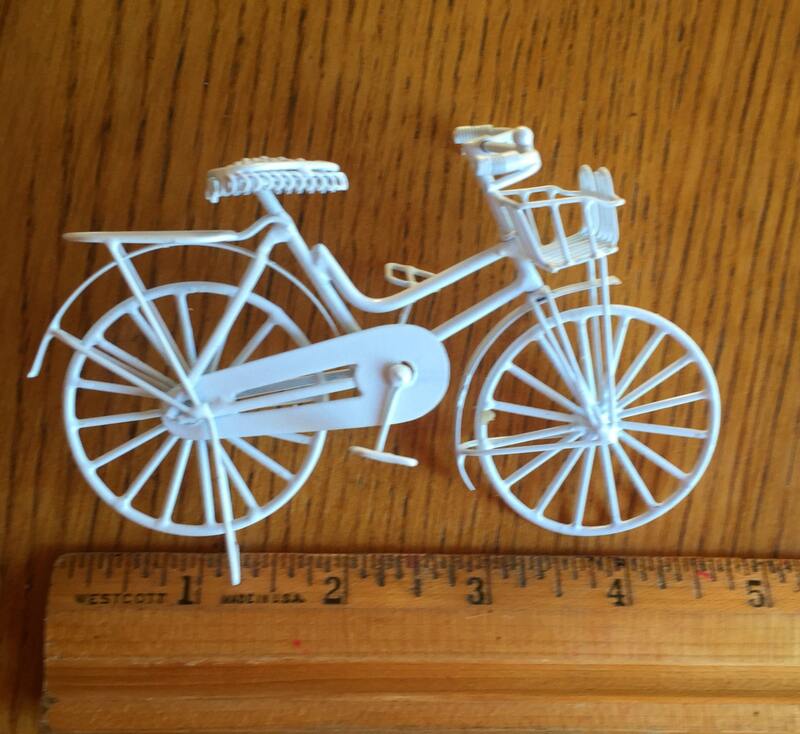 Perfect for dollhouse, fairy gardens, shelf sitter, crafting, gift, topper. 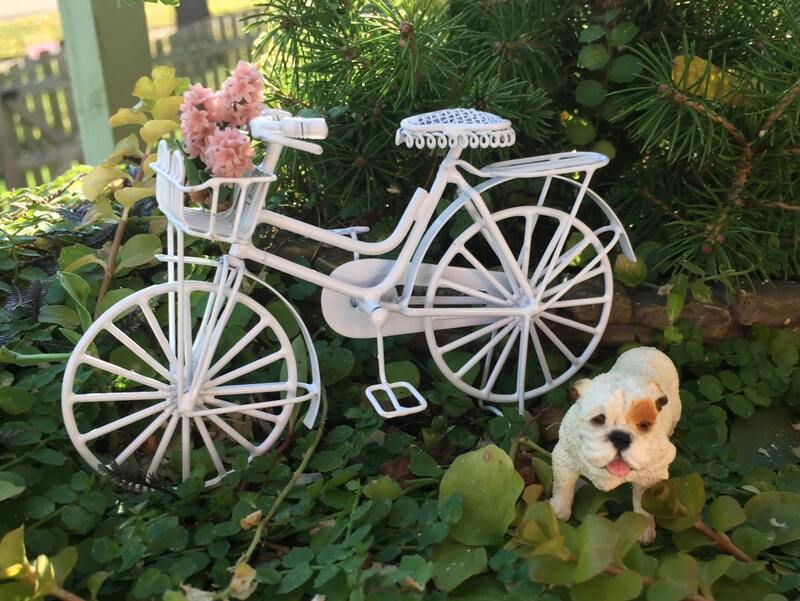 ***Please note: other items/props shown in photos are not included in listing, but may be available in shop, sold separately.